Gurbani Judge, better known as Bani J, has always been vocal about her opinions and her social media accounts are a testament to that. 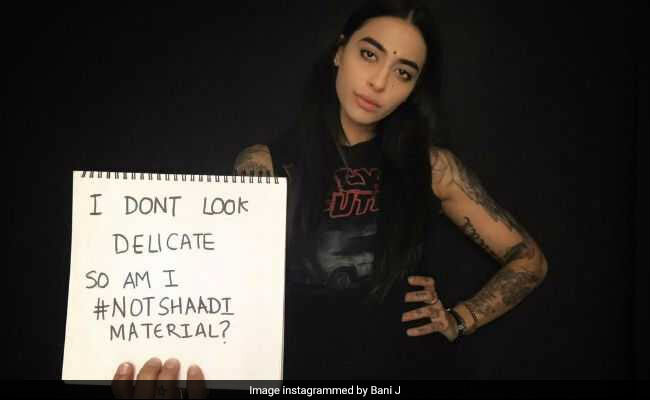 Through her latest Instagram picture, Bani slammed those who stereotype women and came up with an important question, which read: "Just because I like to build my body at the gym and be strong physically, does that make me #NotShaadiMaterial?" The former Bigg Boss contestant, further wrote: "We all know it yet we don't really talk about how much is expected of women in our country." Bani's picture received a whole lot of love. "Proud of you," read one user's comment while the other read: You are one of a kind Bani. You go girl." Bani has earlier been body shamed for having a muscular physique and she gave it back to the trollers like a boss. Bani doesn't care if she's criticised for working out and being a 'woman with muscles.' Recently, Bani said that she was often told that she 'looks manly' because of her well-sculpted muscles, to which she often replies: "So you're telling me that just because I'm woman with muscles, I become manly; what is a man without muscles? A woman?" Bani was first seen in MTV Roadies 4 in 2006 and later hosted Roadies from season 6 to season 12. She has also participated in reality shows like Khatron Ke Khiladi 4, I Can Do that and Bigg Boss. She started her career in Bollywood with Himesh Reshammiya's Aap Kaa Surroor. Her last big screen outing was Punjabi film Zorawar, with Honey Singh and Parul Gulati.